A group of my good friends from high school came up during one of my finals weeks. 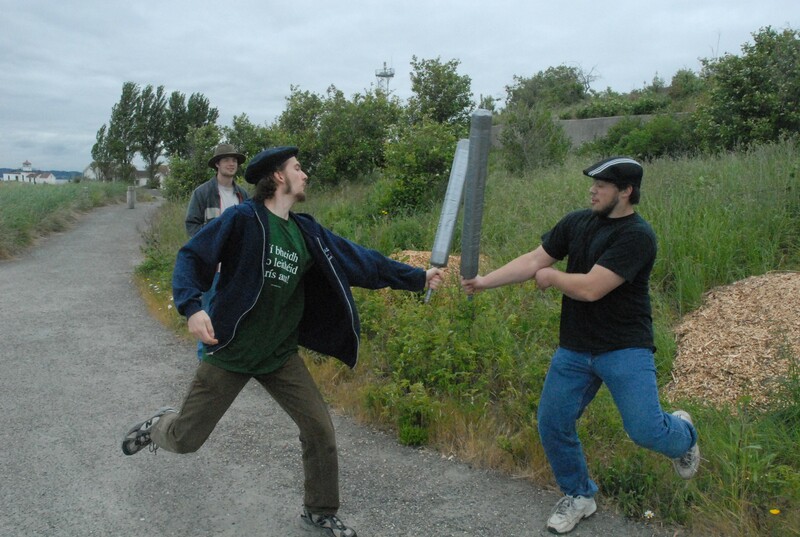 I happened to have these foam swords (strengthened with duct tape), so we went to a nearby park and proceeded to engage in combat. One of them used my camera to take this picture.